FCVC is concerned not only for the well-being of the pets brought in for our care, but also for the well-being of our pet owners. 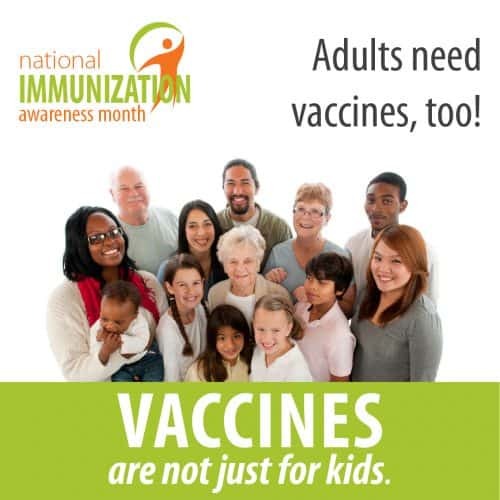 We highlight National Immunization Awareness Month, because staying protected against serious illnesses can be a matter of just taking your shot. It’s a great time to make sure your pets are vaccinated, too. Not sure if your pets’ shot records are up-to-date? We can help you with that. Give us a call at 970-587-5140. Immunizations (also called shots or vaccines) help prevent dangerous and sometimes deadly diseases. Immunization isn’t just for kids. To stay protected against serious illnesses like the flu, measles, and pneumonia, adults need to get vaccinated, too. 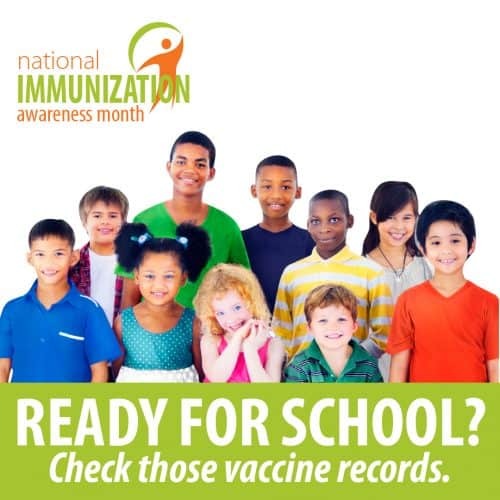 National Immunization Awareness Month is a great time to promote vaccines and remind family, friends, and coworkers to stay up to date on their shots. Additionally, states may require children who are entering child care or school to be vaccinated against certain diseases. Colleges and universities may have their own requirements, especially for students living in residence halls. Parents should check with their child’s doctor, school or the local health department to learn about vaccine requirements in their state or county. All adults should get recommended vaccines to protect their health. Even healthy adults can become ill and pass diseases on to others. Everyone should have their vaccination needs assessed by a health care professional. Certain vaccines are recommended based on a person’s age, occupation or health conditions (such as asthma, chronic obstructive pulmonary disease, diabetes or heart disease). Vaccination is important because it protects the person getting the vaccine and helps prevent the spread of disease, especially to those who are most vulnerable to serious complications (such as infants and young children, the elderly and those with chronic conditions and weakened immune systems). Every adult should get one dose of Tdap vaccine (tetanus, diphtheria and pertussis) if they did not get Tdap as a teen, and then receive a Td (tetanus and diphtheria) booster vaccine every 10 years. Women should get a Tdap vaccine during each pregnancy, preferably during their third trimesters (between 27 through 36 weeks of their pregnancy). For more information on maternal vaccination, check out NIAM Toolkit: Pregnant Women. FCVC hopes that this showcasing this information will increase the awareness that immunizations are important in the overall well-being of people and their pets.